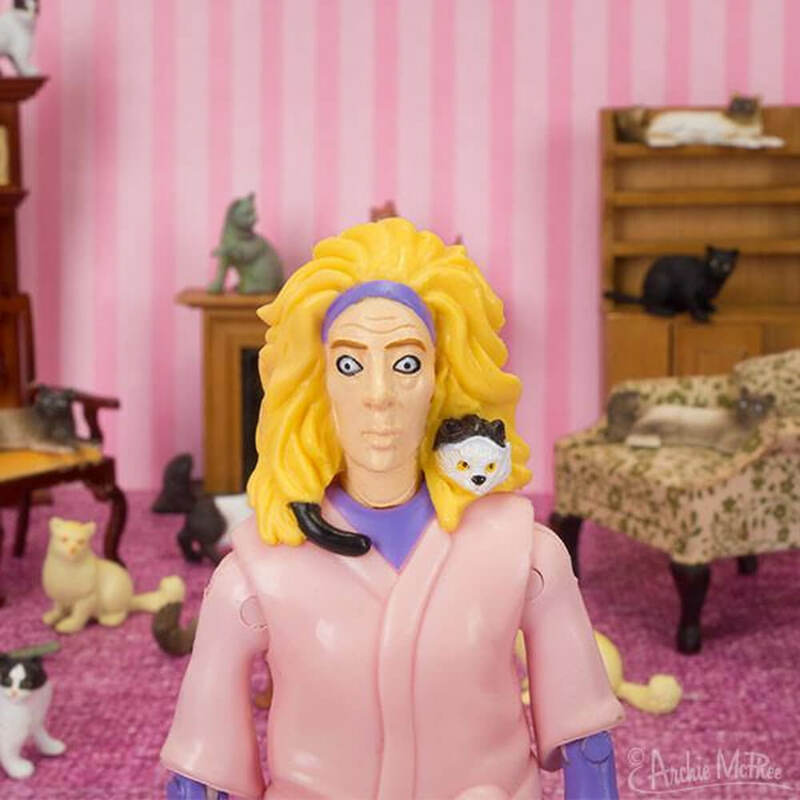 Crazy Cat Lady Action Figurine | We think you'll find this purr-fectly hysterical! We think you'll find this purr-fectly hysterical! Do your best friends have paws? This crazy cat lady's 6 cats pose around her! Your Crazy Cat Lady Figurine comes complete with 6 free-standing pet cats (a perfectly normal number of cats of course). But, look a little closer and you'll find two more feline friends hiding comfortably behind her neck and in her pocket! She's slightly unhinged, standing before her prized self-portrait, as the house-shaped packaging becomes her lounge room backdrop. 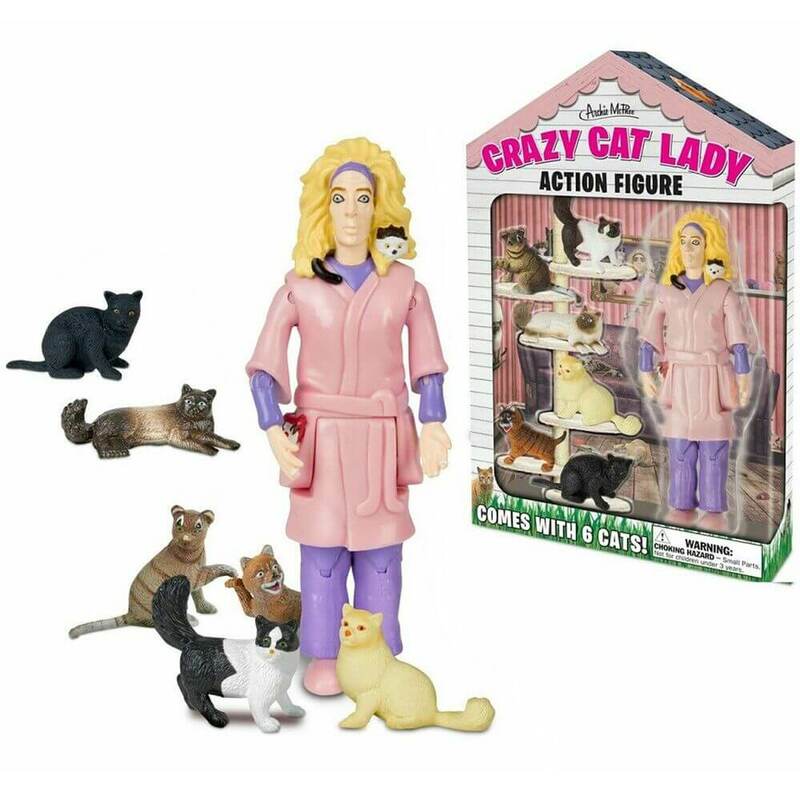 Take the quiz on the back of the pack to determine whether you're a true cat lady or not! Bend her pyjama-clad arms to help her caress her cats, or use her a cake topper for your next cat-loving birthday bash.